Do We Need to Register? Like many recent events involving politics and the law, it starts with the landmark and controversial Supreme Court decision in Citizens United v. FEC. After the Court opened the door to corporations, unions and others to make unlimited political contributions, the applications for recognition as a social advocacy organization under Internal Revenue Code Section 501(c)(4) increased dramatically. Unlike political campaigns organized as 527 organizations, 501(c)(4)s are not required to publicly disclose their donors. These ostensibly social welfare organizations may participate in unlimited lobbying and may also participate in political campaigns so long as these efforts do not constitute their primary activity. The consequence of this fuzzy limitation on political expenditures has been a flood of anonymous funds, or dark money, flowing into the coffers of 501(c)(4)s.
The IRS’s attempt to sift through the deluge of new 501(c)(4) applications was handled in a manner that raised the hackles of Republican commentators and legislators. In order to sort through the morass, the IRS reviewers targeted applications that included Tea Party or other politically ideological names in the titles, causing an uproar that practically decimated the IRS Exempt Organizations Division. The IRS, despite an attempt to offer clarifying regulations for political activity by 501(c)(4)s, had been essentially neutered: Congress expressly forbid the agency from issuing new or enforcing existing rules and regulations affecting 501(c)(4) political activities until September of 2016. The new federal administration is unlikely to provide the IRS resources or encouragement to renew regulatory efforts or clarifying regulations. In fact, among the recently issued flurry of executive orders are prohibitions that appear to further tie the hands of the IRS. As a result, the states have been left to their own devices to stem the flow of dark money from 501(c)(4)s into political and candidate-related policy campaigns. Predictably, California and New York have been leading that effort. Both states (and only these two states) now require that organizations operating or simply soliciting within their states file the IRS 990 Schedule of Contributors (Schedule B) along with their state registration filings. As per IRS rules, the Schedule B is not available for public inspection and the states are allegedly respecting that prohibition. 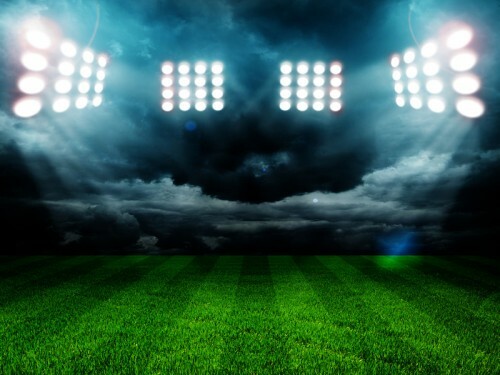 New York and California have each faced legal challenges in their efforts to obtain the Schedule B, considered by many to contain important trade secret donor information. 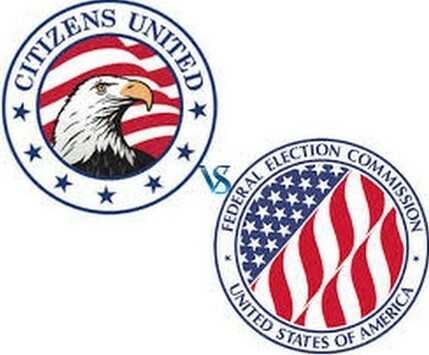 Among the challengers is, of course, Citizen’s United. New York has decided to take an even more radical step in an attempt to facilitate transparency of lobbying and political campaign-related activities occurring within the state. A bill drafted by the Office of New York State Governor Andrew Cuomo and passed by the legislature (literally in the wee hours of the morning with little, if any, chance for review or debate), added Executive Laws Sections 172-e and f, requiring 501(c)(3) charitable organizations that contribute monies, goods or services in excess of $2,500 in any six month period to a 501(c)(4) to fully and publicly disclose any donor who contributed cash or securities in excess of $2,500 to the 501(c)(3). This is true whether or not the monies were used for lobbying or campaign-related purposes or were specifically restricted from being used for such purposes. A second provision of this new legislation impacts any 501(c)(4) that expends more than $10,000 in a calendar year on communication broadcasts to more than 500 people that refer to or advocate for or against i) an elected official; ii) the policy position of an elected official; iii) any existing, pending or proposed legislation; or iv) any regulation, hearing, rule or decision of any legislative, executive or administrative body. In such cases, the 501(c)(4) must publicly disclose the names of donors who contributed more than $1,000 to the 501(c)(4). Under these provisions both disclosures are to be published on the website maintained by the Attorney General or the Joint Commission on Public Ethics. These rules take effect on January 30, 2017 for calendar year 2016 contributions. The quick passage of this legislation and the lack of public comment have taken the sector by surprise, if not shock. The ramifications are not fully clear. Of particular concern is the provision in 172-e that impacts 501(c)(3)s providing in-kind services to 501(c)(4)s. Many 501(c)(3)s provide pro bono services such as legal, academic, or others types of voluntary services to 501(c)(4)s with a value in excess of $2,500. Do these constitute in-kind services that trigger the public filings and disclosures of donors under these new laws? The answer seems to be yes. If a 501(c)(3) gives funds to a 501(c)(4) for community services that are clearly restricted to non-lobbying purposes, why should the 501(c)(3) now have to reveal its major donors? Again, the answer seems to be yes, as the purpose does not seem to matter. These concerns were important enough to prompt two affiliated groups of organizations, directly and significantly affected by the new law, to challenge its enforcement in Federal Court. A few weeks ago, Citizens Union Foundation, a 501(c)(3), together with its affiliated 501(c)(4), Citizens Union, and the American Civil Liberties Union (ACLU) together with NYCLU, its state affiliate, both 501(c)(4)s, and the NYCLU Foundation, a 501(c)(3), filed separate actions in the Federal District Court in lower Manhattan. Both complaints seek a declaration from the Court that the new law is unconstitutional under the 1st and 14th Amendments of the United States Constitution and ask the Court to enjoin its enforcement. In essence, these organizations complained that these new laws compel speech, regulate expressive conduct and infringe upon the free speech and free association rights of the 501(c)(3)s and their donors without regard to whether the donor’s contribution is related to lobbying. They further complain that the activity affected is pure issue-based political advocacy that does not qualify as lobbying or election-related speech, and as such constitutes core free speech, which is fully protected under the 1st Amendment. They further point out that the reporting obligations are not limited to contributions made within a certain period of any election. In this facial challenge to the law it appears, (without having seen the responses from the State), that the plaintiffs have a strong argument. Indeed, New York may have made the classic mistake of using too blunt a tool to achieve its intended purposes. As a result, the State may have effectively threatened the legitimate rights of charities and advocacy organizations to share resources or be involved in public issue advocacy. In cases involving inviolable free speech and association rights, a more precise and delicate tool is required. Undoubtedly, this is only the beginning of a long struggle in the tug of war between the forces of unfettered advocacy and those seeking to keep unconstrained money out of politics and secure transparency in all things political.